Gerrit Berckheyde – Musée de la Chartreuse (Douai). Title: View of the river Spaarne, Haarlem. Date: c. 1669. Materials: oil on panel. Dimensions: 44 x 53 cm. 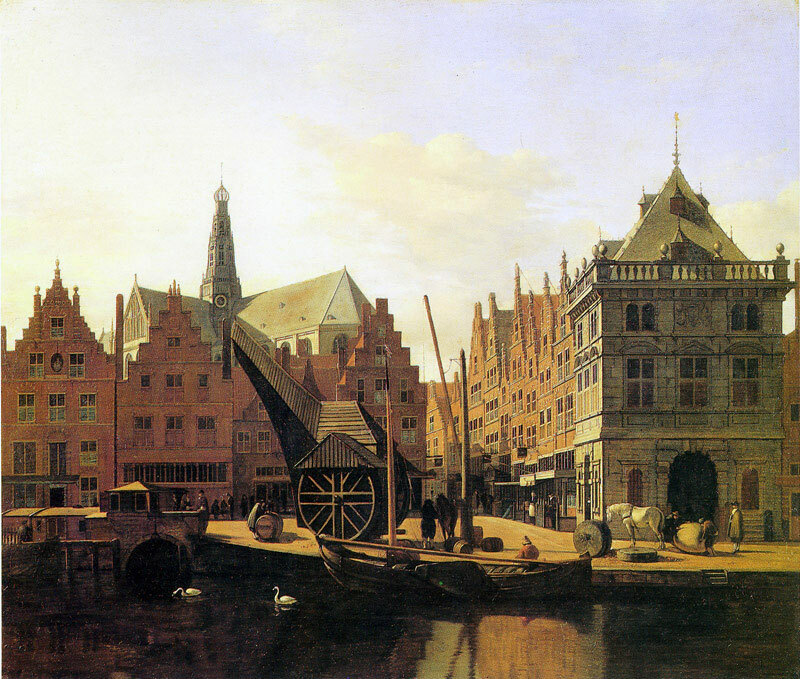 Source: http://www.kzod.nl/wp-content/uploads/2013/09/De-Waag-Gerrit-Berkhyede-1.jpg. I have changed the light and contrast of the original photo.